Journal Cup events typically include some or all of the following events. These events favor strong riders who train for excellence over short distances. Match Sprint: two to four competitors race head-to-head over 1000 metres. This race demands more tactical skill than any other as riders battle each other for the best position. Kilometre Time Trial (men)/500m Time Trial (women): timed events, raced from astanding start. Keirin: a mass-start power event. The first portion of the race is a battle for position behind a motorbike, which the riders may not pass. After the motor bike pulls off, there is an intense sprint to the finish. Elimination: Also called Miss and Out or Devil, as in devil take the hindmost. This is an elimination race with the last rider on every lap being removed from the race. Once there are only three riders left they sprint it out for the finish. Team Sprint: Three riders (two for women) with the lead rider peeling off at the end of each lap. These events favor riders with a greater balance of power and endurance. Most track endurance riders who ride on the road are best known for their sprinting or time trialing capabilities. Individual Pursuits: 2000-4000 metre timed events contested by two riders who start on opposite sides of the track at the same time. Scratch Race: is a very simple mass-start race over a set distance, in which the first rider across the finish line wins. Points Race: This event involves a number of mini-races within the main race. When the bell rings racers sprint to finish in the top 4 places on that lap and win points (5-3-2-1) to count to the overall race total. Rider with the most points wins. 20 point bonus to any rider who laps the main pack (the largest group on the track), 20 point deduction for any rider who is lapped by the main pack. Madison: This race is contested by teams of two riders showing bike handling skills at their best. One rider has to be in the race at all times. The other team member takes a short rest circling at the top of the track before he rejoins the race with his team mate throwing him into the action with a hand sling. As with the points race there are sprints, in this case every 20 laps and the teams will also be trying to gain a lap on their opponents in this high speed race. The final is over the distance of 50km. The skills of the riders are vitally important as the bunch reach speeds well over 50 km/h with riders throwing their partners into the fray at key times of the race aiming to win the sprint points or gain a decisive lap on their competitors. Individual Pursuit: Timed event with two riders on the track at once. Elite men/A 4,000 metres, Elite women/masters men A and B/junior men/B 3,000 metres, Masters C and D men/Junior and masters women/U17 men and women 2,000 metres. If there is both a qualifying and final round, a rider caught in the final is eliminated and the race ends. In qualifying races, a caught rider finishes the distance. Team Pursuit: As individual pursuit except team of four over 4,0000 metres or three over 3,000 metres. Australian Pursuit: Riders start at equidistant intervals around the track. Any rider who is caught is eliminated. Event may be terminated early if field down to two placed opposite one another on the track. Team Points Race: All riders are put in teams of 4 or 5. Teams with the most points wins. The organizer selects the teams so that they should be even. The men’s Omnium is the pentathlon of track cycling. Each competitor must ride in five events – 200m flying time trial; 7.5km scratch race; 3km individual pursuit; 15km points race and 1km time trial. In this competition, points are awarded in reverse order. The winning rider of each event gets one point and the rider with the lowest number of points overall is the winner. If there is a tie on points, the judges look back at the timed events to determine who wins. 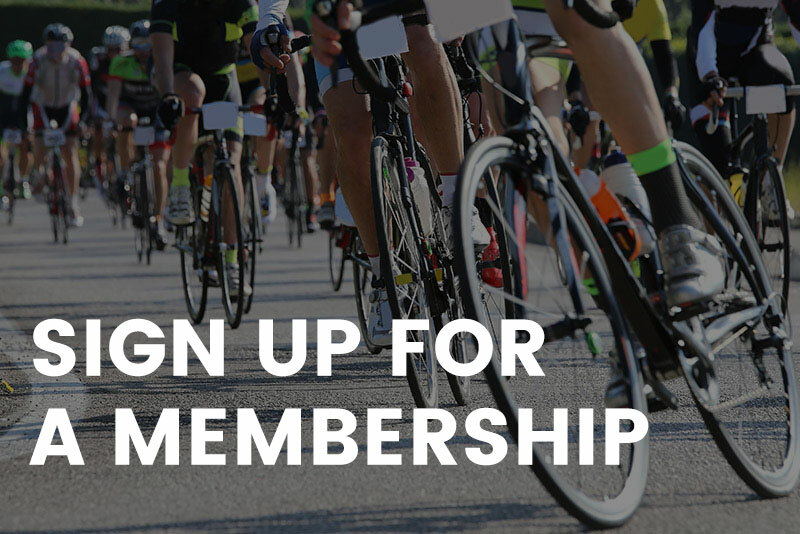 You’ve got to be good at sprinting, time-trialing and bunched racing in this tough race series. The women’s Omnium uses the same rules as the men’s Omnium with different distances except for the 200m flying time trial – a 5km scratch race; a 2km individual pursuit; a 10km points race and a 500m time trial. Riders participating in sanctioned events are responsible for knowing the current regulations. Copies of the regulations are available here. Registration for ABA-sanctioned races is typically done in advance; late fees may be imposed for entries received within 3 days of the event. Race-day registration may be allowed at the discretion of the Technical Delegate & Race Organizer. Please be aware, some events have field limits, which may be reached well in advance of the event. Riders are urged to register early. For event registration information, see Upcoming Events. Riders will receive two body numbers at sign on.